The support for Webb may come as somewhat of a surprise, since he is a Democrat and has been largely out of the headlines since the 2016 Democratic presidential primary, when he launched a bid for president. However, supporters say he aligns with President Trump’s more realist world view — something that was a problem with Mattis, a foreign policy liberalist. 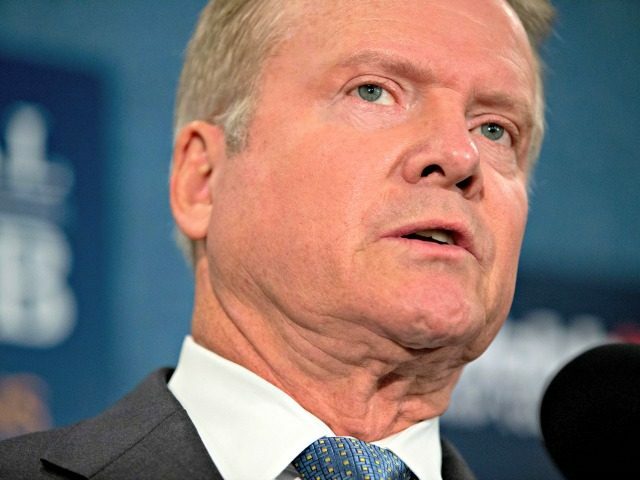 “Former Navy Secretary and former Asst Sec Def @JimWebbUSA would be someone to consider seriously for SecDef. His foreign policy views line up better with @realdonaldtrump and are not Bush 3.0,” Fox News host Laura Ingraham tweeted on December 21. Former Navy Secretary and former Asst Sec Def @JimWebbUSA would be someone to consider seriously for SecDef. His foreign policy views line up better with @realdonaldtrump and are not Bush 3.0. On Thursday, the New York Times reported the White House is considering Webb, citing three officials. A source also confirmed to Breitbart News that he is being considered. The White House did not confirm any candidates, but indicated a search was underway. “We will let you know when we have an update. No personnel announcements at this time,” spokeswoman Lindsay Walters said. Webb, 72, is a graduate of the Naval Academy and a former Marine captain who fought in Vietnam as a Marine rifle platoon and company commander. He was awarded the Silver Star, the Navy Cross, two Bronze Stars, and two Purple Hearts. Webb, then a Republican, served in the Reagan administration as an assistant secretary of Defense for Reserve Affairs, and then secretary of the Navy. He then ran as a Democrat senator in Virginia in 2006, serving one term. Webb has a following among libertarians and foreign policy realists in Washington. He was a critic of the invasion of Iraq, and also disagreed with former President Barack Obama’s interventions in Libya and Syria. Sen. Rand Paul (R-KY) told Breitbart News during a conference call Wednesday that he thought the next defense secretary needs to be someone who agrees with Trump on ending unnecessary wars. 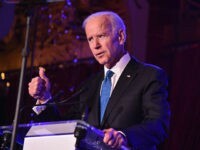 “He’s the first president really in a lifetime who has had the ability to declare victory and say, ‘We need to come home.’ He needs a defense secretary who agrees with him and will carry out the policy, not try to stymie the policy,” he added. However, some who know Webb are skeptical he would be a good fit. While he would have the experience for the job, they say he also has an independent streak. “Trump needs an ally. Tillerson and Mattis both didn’t agree with him on his foreign policy agenda. They were almost the opposition to Trump. He needs someone who isn’t going to fight him on things,” he added. Other names being floated to the White House include Deputy Defense Secretary Patrick Shanahan, Sen. Tom Cotton (R-AR), Sen. Lindsey Graham (R-SC), Director of National Intelligence Dan Coats, Rep. Mac Thornberry (R-TX), Rep. Scott Perry (R-PA), Army Secretary Mark Esper, Air Force Secretary Heather Wilson, former Missouri Sen. Jim Talent, former Arizona Sen. Jon Kyl, and retired Army Gen. Jack Keane. James Carafano, vice president of the Heritage Foundation’s Kathryn and Shelby Cullom Davis Institute who served as an adviser on the Trump transition team, also recommended that the president choose someone onboard with his agenda. “We’ve already seen what happens when you pick someone who’s not really a team player. You can’t do that on Defense, you can’t do that on State. Maybe you can do that on some agency somewhere, but not on the two most key critical cabinet posts,” he said. Frank Gaffney, president and CEO of the Center for Security Policy, agreed. “The president cannot run the whole government. He has to delegate, and he has to delegate to people he trusts to run the departments the way he would run them if he could run them all,” he said.